Today was Day #9 of Chocolate and Coconut Theme Week. 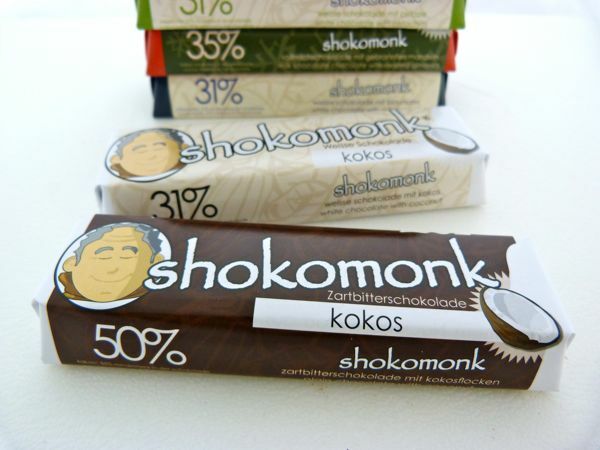 Once again, I'm extending the conventional 7-day week, because chocolate offerings expand beyond time and space -- or at least geography -- in today's shokomonk bars from Germany (adorned with an illustration of a smiling monk). This line may be expanding into the U.S. soon. 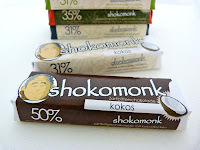 A few days ago, I stopped by the shokomonk booth at the Fancy Food Show in San Francisco, CA, and picked up a set of bars to try, including two with coconut. 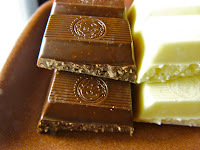 The first bar was a 50% zartbitterschokolade mit kokosflocken (plain chocolate with coconut); the second was a 31% weisse schokolade mit kokos (white chocolate with coconut). The company's two founders are committed to creating a line of bars that are enjoyable and mobile, and the bars I've had so far were made with higher quality ingredients that many traditional bulk candy and chocolate manufacturers. Both coconut bars had a consistent sweet and crunchy texture. The company uses cacao from Ecuador, according to a company rep. 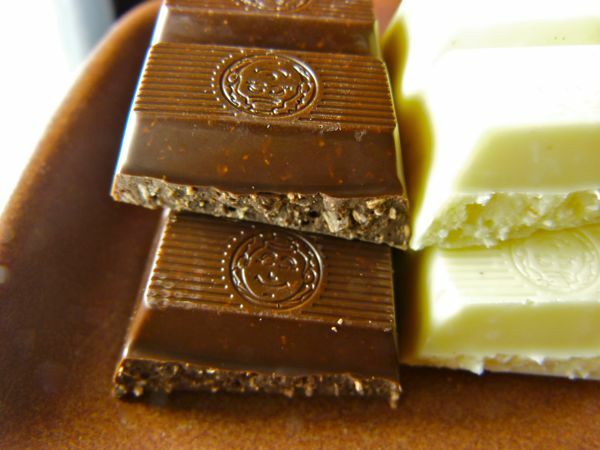 I don't count white chocolate in my "different chocolate every day" approach on this site; but this second bar was the perfect candy playmate for the plain chocolate version. And, happily, cocoa butter (and not cheaper, substitute fat) was the second ingredient, behind sugar, and ahead of coconut flakes (8%); the bar also contained bourbon vanilla. Note: these two bars do not contain gluten ingredients, but some of their bars do incorporate glucose syrup that contains wheat. 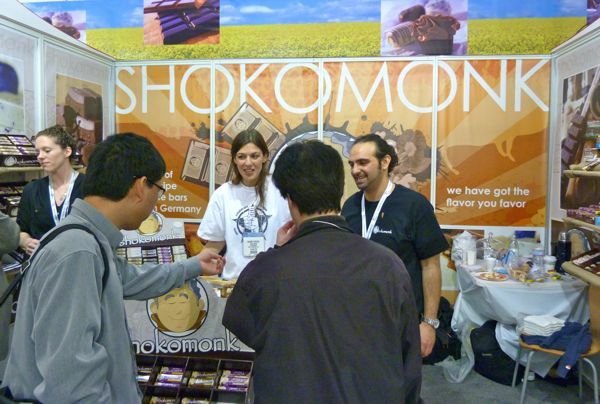 it was a pleasure to meet you and I want to thank you on behalf of the Shokomonk Team for your very objective and cool review. We look forward to following your blog and hope to see you again very soon.